The Ford F-150 Raptor is one of the hottest pickups on the market, but it’s relatively tame compared to the insane Dodge Ram SRT-10 that prowled the streets more than a decade ago. While the Raptor focuses on off-road capability, the Ram SRT-10 was a straight up performance machine as you can see in this throwback video from MotorWeek. Since the company wasn’t turning out modern high-performance engines, Ram simply shoved the Viper’s 8.3-liter V10 under the hood. Despite its massive displacement, the power output isn’t too impressive by today’s standards as the truck was rated at 500 hp (372 kW / 507 PS) and 525 lb-ft (711 Nm) of torque. That’s nothing compared to the Dodge Challenger Demon, but the numbers still beat the F-150 Raptor which has 450 hp (335 kW / 456 PS) and 510 lb-ft (690 Nm) of torque. The massive V10 engine was accompanied by an assortment of other upgrades including a lowered sports suspension and a high-performance braking system. 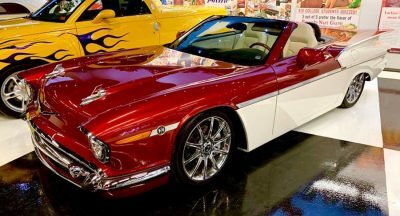 Designers installed a sportier front fascia, a functional rear wing and 22-inch wheels which were shod in Pirelli rubber. Billed as the “most macho pickup in Detroit history,” the Ram SRT-10 could run from 0-60 mph (0-96 km/h) in 5.3 seconds thanks to its six-speed manual transmission. 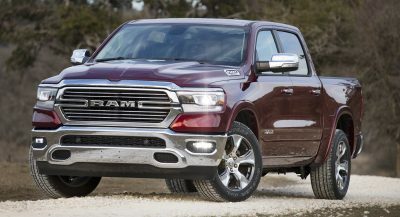 Despite its focus on straight line performance, MotorWeek says the truck was a pretty sharp handler with precise steering featuring plenty of feedback. While both the Viper and Ram SRT-10 are no longer with us, FCA will introduce a successor of sorts. As confirmed as part of their five-year plan, Ram is working on a 1500 Rebel TRX which draws inspiration from a similarly named concept. 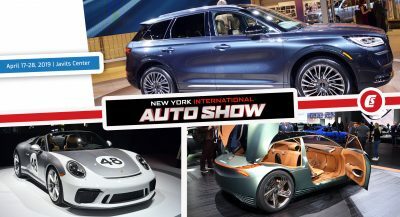 The model is slated to arrive before the end of 2022 and reports have suggested the truck will have a supercharged 6.2-liter V8 developing 707 hp (527 kW / 716 PS) and 650 lb-ft (881 Nm) of torque. They should make a limited version of the new RAM with the 707hp engine. I would love that! I still love the original. Was a neat truck, for those who fancy trucks. 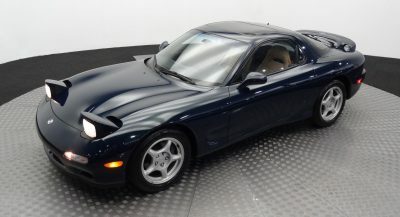 I’ll admit, I got a bit curious when I noticed I could get close to a Viper anything for $20 something thousand as depreciation settled in on these. Then I decided against it, much as I wanted that crazy engine. I like my trucks, trucks, and my sports cars, sports cars. Not into these strange hybrids. This truck was absurd for what it was. I don’t think the wing was removeable either. Who’s bright idea was that to put a wing on a truck anyways? I wish Ford still made the SVT lightning that was a sick truck. This thing was just ridiculous for what it was. Watch the video. The wing IS removable. You couldn’t put anything in the bed either. It was a useless truck. Who cares. I’m glad it exists. The reality is getting 500bhp down on the ground in a pick-up requires some compromises. Which means it was complete overkill. 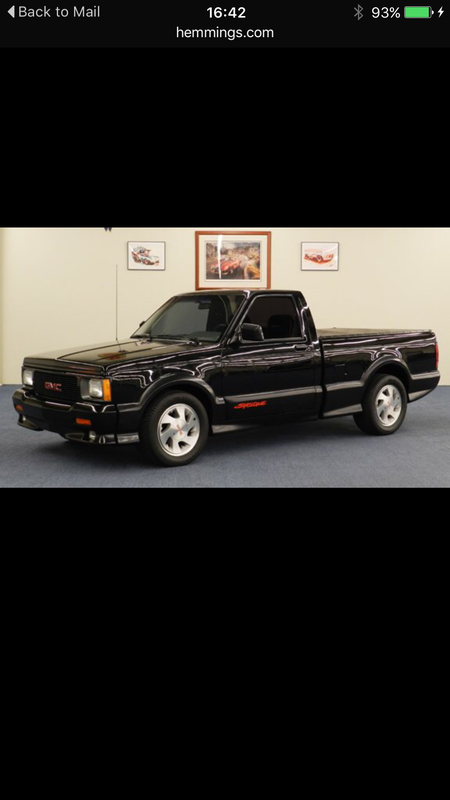 The 1990-91GMC Syclone was a q-ship with outrageous styling backed up by a turbo 3.4 V-6 with 4WD and Corvette automatic transmission. It was based on the S-15 pick-up and also included an SUV version. I believe it was featured, sucking the doors off a Ferrari in the quarter-mile, on a major magazine cover. It took the flash out of Lightenings and sheared the SRT Ram’s wool https://uploads.disquscdn.com/images/a77486440160188b5681329486b1c33f80f0dda838f2b188d17297130f942c36.png with ease. 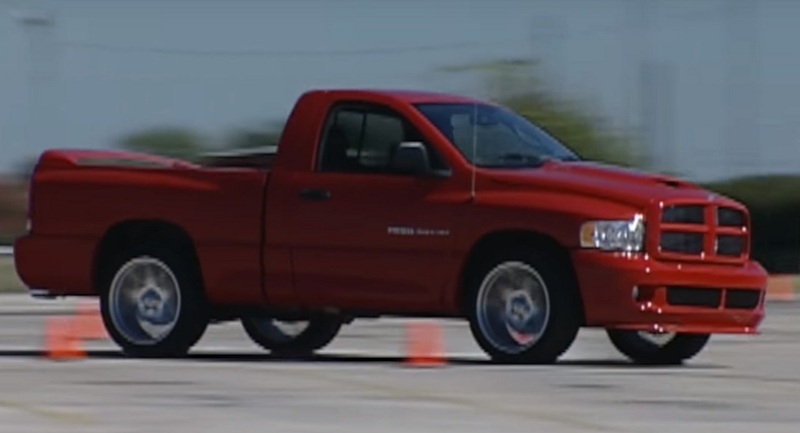 The Dodge Ram SRT was more of a car than than a pickup. Looked pretty sissy-ish.